Chinese herbal medicines are frequently used by people with cancer with the intention of healing, reducing side effects, and enhancing the effect of conventional therapies. In previous research, we have studied the impact of herbal medicines on survival, and quality of life, in patients with breast, lung, ovarian and colon cancers. We are now expanding our focus with a new research initiative focusing on the problem of quality of herbal medicines produced in China. 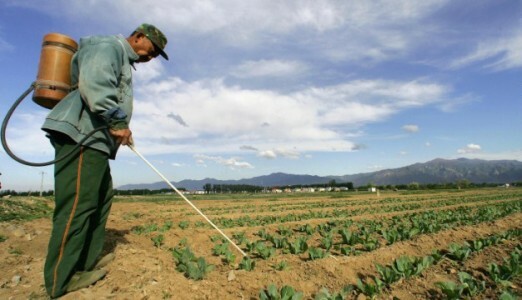 Ironically, herbal medicines grown in China are turning up with significant contamination of pesticides. What is the problem, and how do we know this? A 2013 report issued by Greenpeace found residues of pesticides on numerous Chinese herbal medicines, that were purchased in consumer markets. Their report documented residues exceeding allowable limits, and also of pesticides banned by regulatory agencies in the US, Europe and China. Although the US Food and Drug Agency (FDA) regulates Chinese herbal medicines as dietary supplements, and they are therefore subject to the same safety requirements as foods, nevertheless, the gaps in quality are substantial with Chinese herbal medicines. Furthermore, FDA is unable to provide adequate resources to monitor the quality of Chinese herbal shipped from overseas. Some herbal distributors report they are testing herbs for pesticide residues, but very few are willing to provide laboratory reports documenting these claims. The enormity of the problem of pesticide contamination has exceeded the capacity of either regulatory agencies or commercial groups to keep pace or assure confidence. In this new research initiative, the Pine Street Foundation is collaborating with our long-time research partner Touradj Solouki, PhD (professor of chemistry at Baylor University), to investigate Chinese herbal products purchased here in the US. We are analyzing these herbs using truly state-of-the-art equipment, to rigorously assess the quality by screening for pesticide residues. We are also conducting an extensive systematic review, in which we are devoting hundreds of hours staff time to critically examining the over 130 papers that we have identified, which contain published evidence of contamination of Chinese herbal medicines by pesticide residues. What are our goals with this project? We have three primary goals with this initiative: (1) to confirm whether the concerns raised by other research is valid, (2) to expand on these findings by using the latest analytic technologies, and (3) to increase public awareness of this issue and propose new solutions.